Welcome to the Freeola Internet customer support pages. 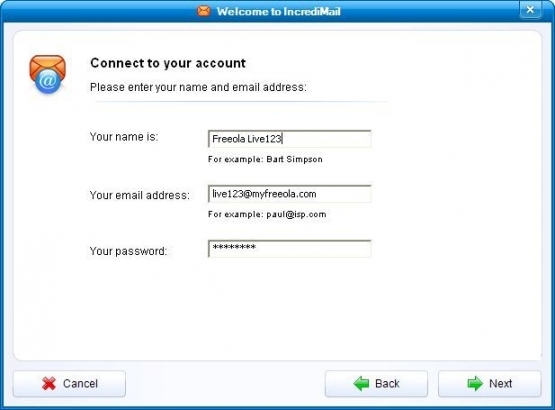 This guide is designed to help with setting up a Freeola email address﻿ on Incredimail 2. For more internet help topics please visit our main Support Page. 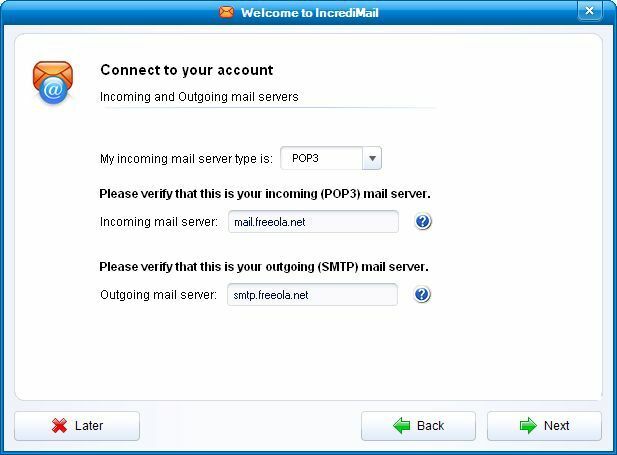 If you do not already have Incredimail 2 installed, you should be able to download it from the Incredimail Website. 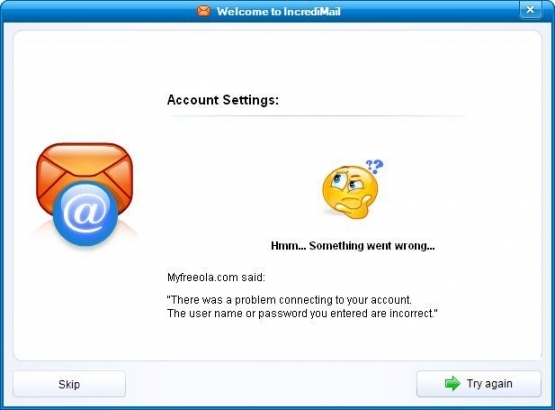 Alternatively, if you would prefer to use another e-mail client, you may be able to find a relevent guide on the Freeola E-mail Support Guides page. 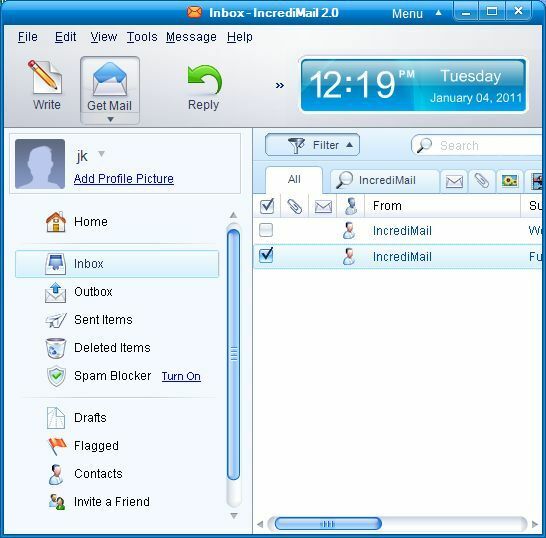 Load Incredimail 2 from the Windows Start Menu. 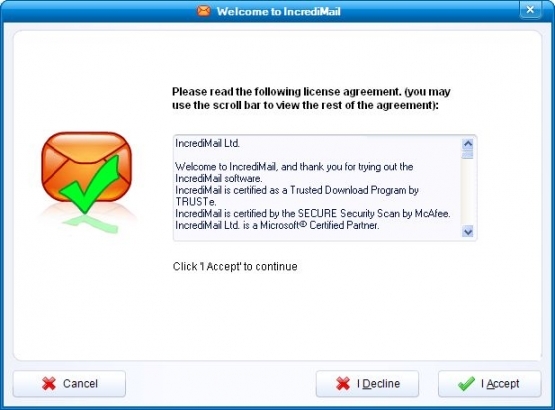 If this is the first time that you have run Incredimail 2, you should now be shown a license agreement for using Incredimail 2. In order to proceed you will need to read through and accept this agreement by pressing I Accept. 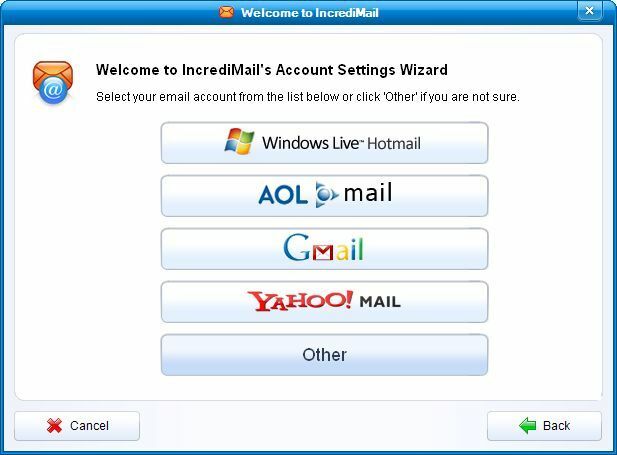 Alternatively, if this is not the first time that you have loaded Incredimail 2 you should select Tools from the top menu, then Email Accounts then Add. You should then skip to step 4. After the license agreement you will be asked to provide your gender and country. You will need to enter these and press Next to continue. You will then be asked whether you would like to Automatically configure settings. 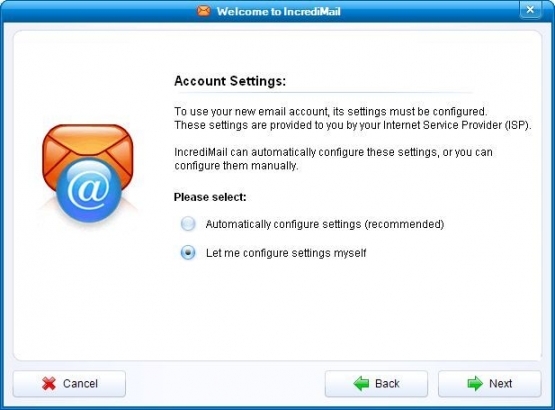 This automatically imports your setting from other email clients that you have installed. As this is a new setup, select Let me configure settings myself and press Next. Incredimail will ask for you to select your account type. As Freeola is not listed, you will need to select Other. 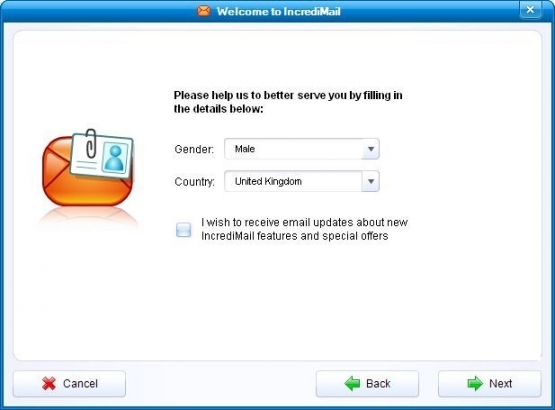 You will then need to enter your name, email address and password into the boxes provided. 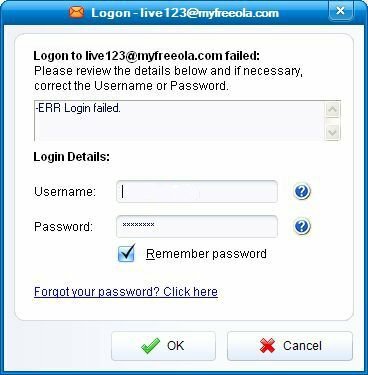 Your email address and password should have already been obtained from within your MyFreeola Account and your name will be the name that you would like your e-mails to say they're from when they are received. Once this form is complete press Next to continue. The outgoing mail server will need to be smtp.freeolamail.net. Once you have entered the server details, press Next to continue. Incredimail will now try to create your account however you will encounter an error as a username has not yet been entered. When you encounter this error, press Skip to create your account. Now press Get Mail to cause Incredimail to check for new messages. Incredimail should get as far as authorising, then ask for your username and password. You should enter your email address into the username box provided and press OK.
Incredimail should now be configured and ready for use with your Freeola email address.